Originally from Byron Bay, but now based based in Berlin, Parcels are five passionate musicians whose interests cover innumerable genres ranging from folk pop to disco-funk and psych rock. Released last January, their highly anticipated debut EP, Hideout, showcased their unique brand of indie pop, featuring laid-back grooves, infectious choruses and psychedelic synths. Now Parcels are offering the perfect end-of-summer soundtrack by giving the EP a full makeover with completely reworked versions of their originals. They invited the finest selection of producers to remix five of their tracks and, boy, are we in for a treat! From the psychedelic electro of Inagwa, a side project of Aussie band Tora, the mesmerizing rhythms of French producers L’Impératrice, the versatile electro of German duet Mouse on Mars, misty vibes brought by Helsinki-based Disco Despair, and an electronic ballad courtesy of Dutch trio Kraak & Smaak, the Hideout Remixed EP is an incredibly diverse collection, demonstrating the eclectic aesthetic of Parcels’ universe. As their latest offering is being acclaimed as “rapturous retro-pop” (The Guardian), the young musicians best deliver their unbridled energy on stage. 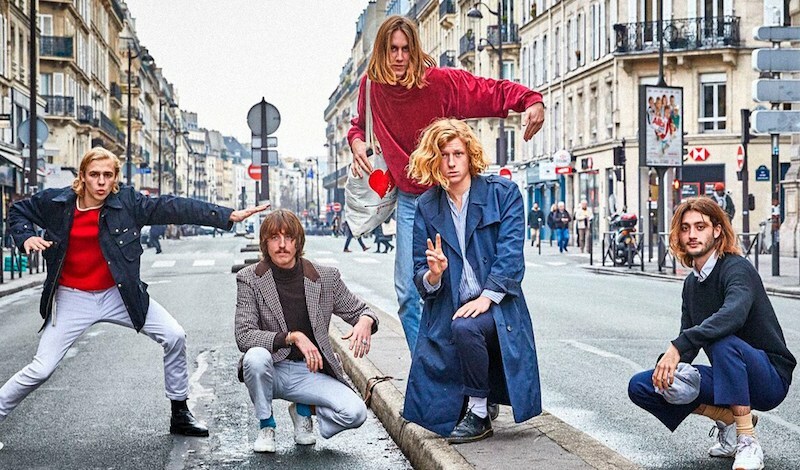 Following a European Tour supporting Two Door Cinema Club, Parcels embarked on a summer festival tour with shows at Le Printemps de Bourges, Great Escape, Dot to Dot Festival, We Love Green, and more.